Interested in being a catalyst for change? AmeriCorps VISTA volunteers work with community leaders to fight poverty, develop job opportunities, increase access to education and housing, promote healthy living, and much more. 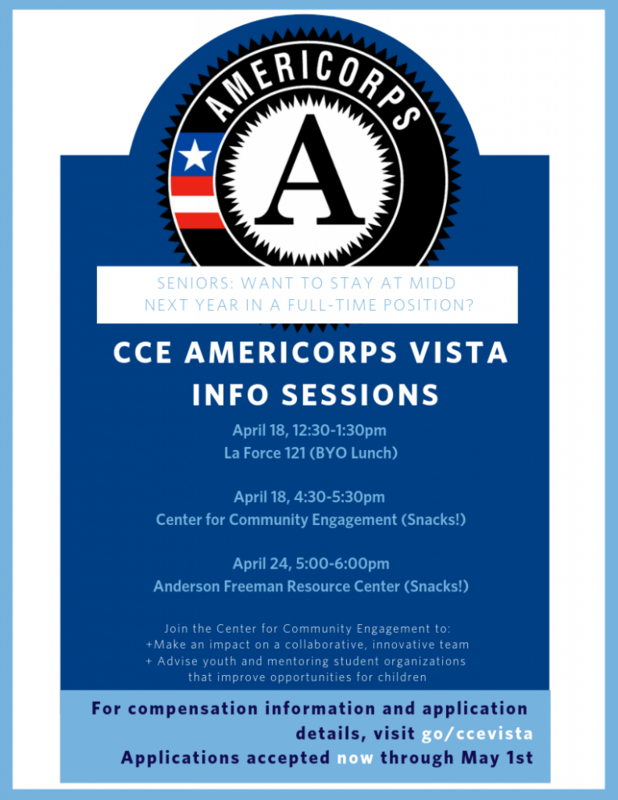 During this session, you will learn about the AmeriCorps VISTA program, hear from currently serving members, and have the opportunity to ask questions about this 1-year nationwide experience. This entry was posted in Midd Blogosphere and tagged AmeriCorps Vista, post-grad opportunity, Social Impact, Volunteer on March 11, 2018 by Tracy Himmel Isham.